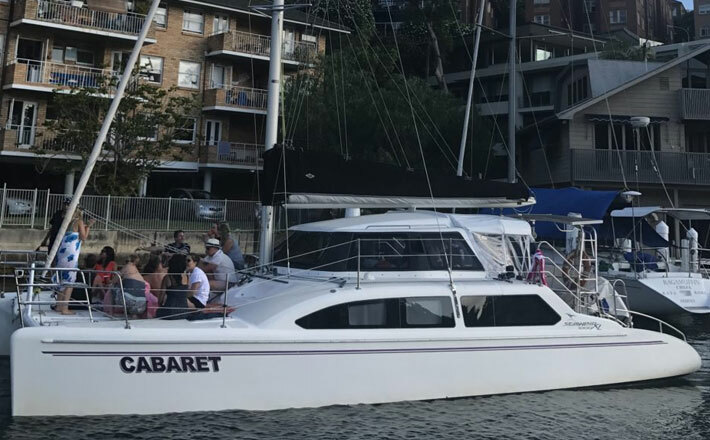 Deluxe Seawind 1000XL catamaran charter is a step up from the standard Seawind 1000 – it is 1 m longer providing additional cruising speed and finished off with premium fittings. These Seawind 1000 series boats are the most successful Australian sailboat ever built. 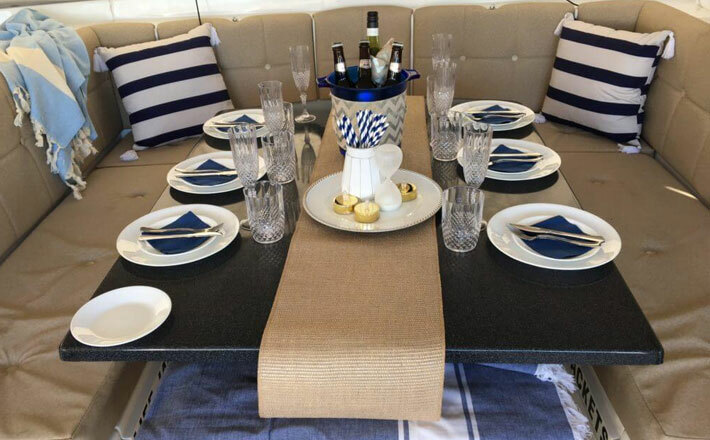 The twin hull design allows for greater space, comfort and stability. 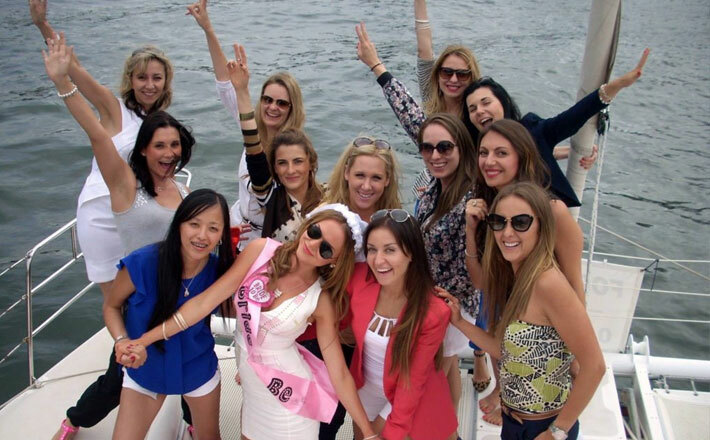 With a hard top and wrap around saloon, it is an ideal cruising boat with good weather protection, perfect for your next corporate event, birthday function, hens party or bucks party. 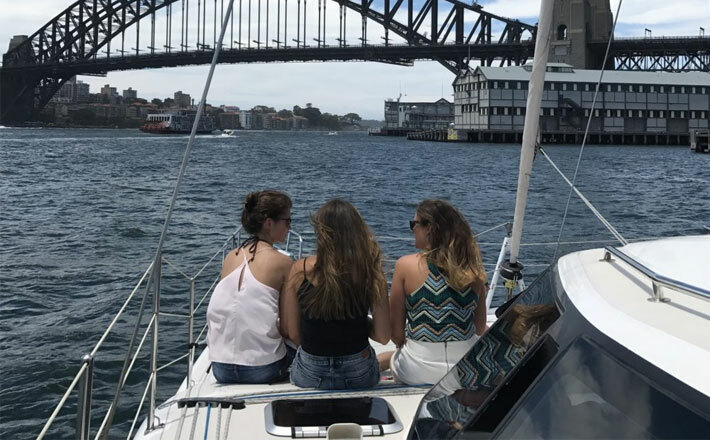 Cruise past all the famous Sydney Harbour icons, or anchor down for lunch and a swim at one of the many beautiful harbour bays and beaches. 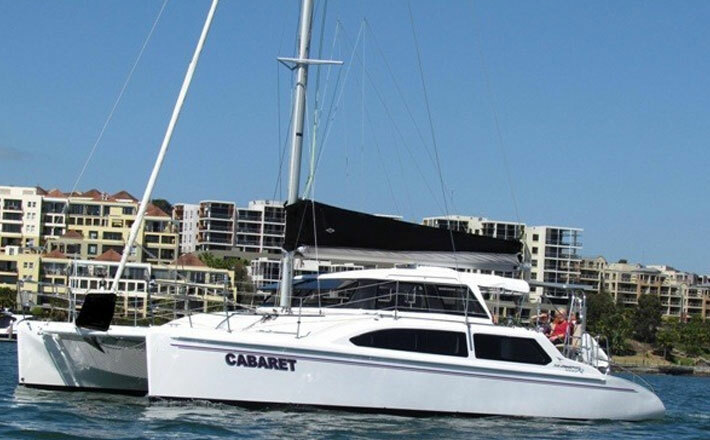 These shallow draft charter catamarans can anchor close in to beaches – wonderful for swimming. stability – no wine spillage!